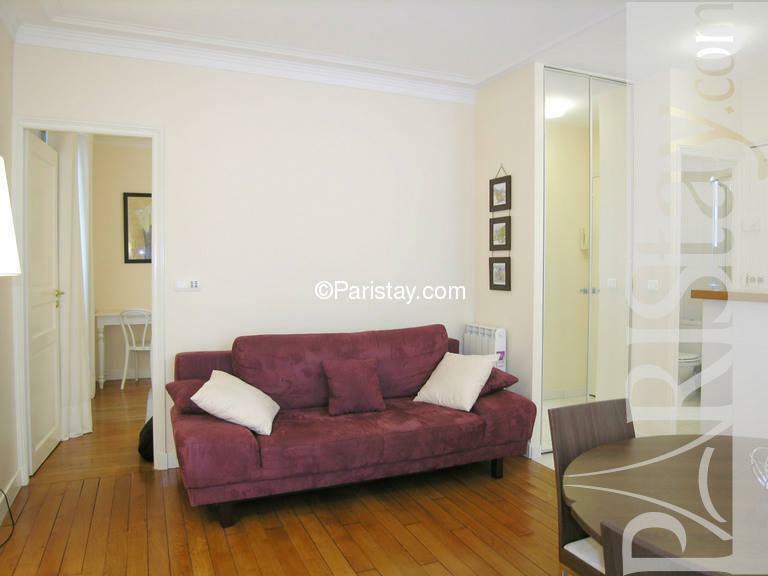 Charming Paris one bedroom apartment conveniently located in a lively and interesting neighborhood, in the heart of the 11th Arrondissement. 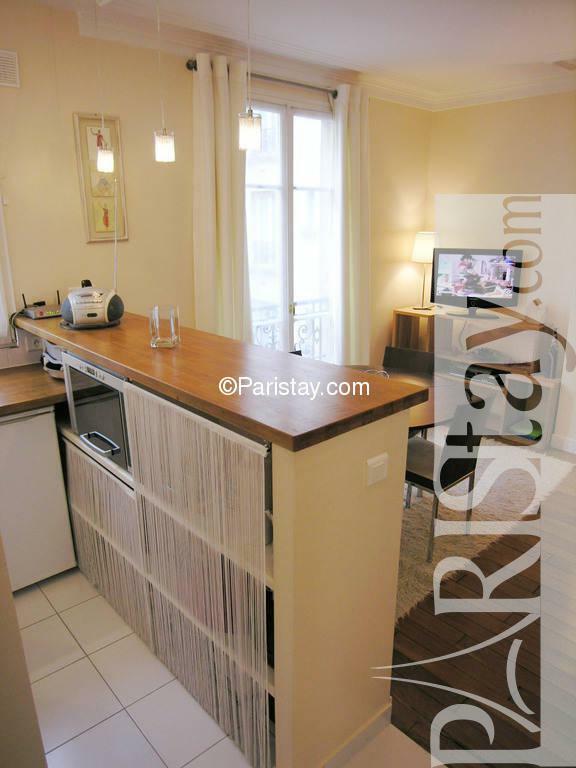 It is an attractive neighborhood because it is very alive with Paris life, not touristy, yet you are 8 minutes stroll from Place de la Bastille (and Opera Bastille), 15min stroll to Place des Vosges, 8min walk to the green strip which is the southern continuation of Canal St. Martin and also the huge Bastille market on Sundays. 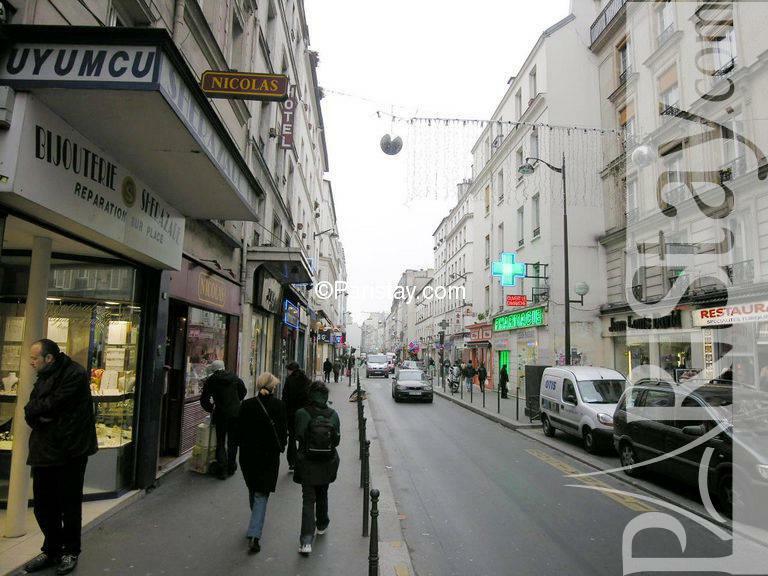 Of course, you can take the metro or bus also. The bedroom features an excellent double-bed. 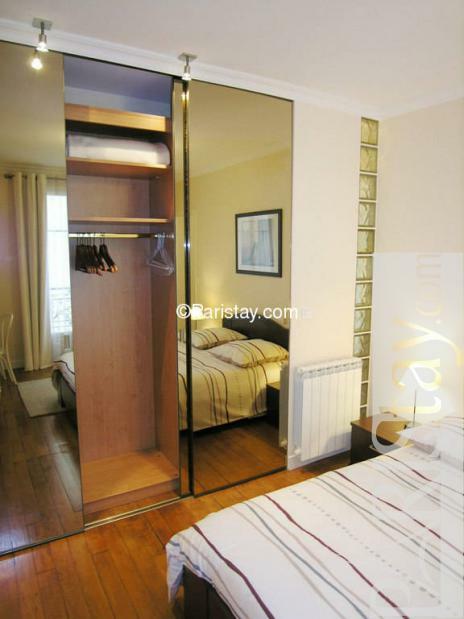 There is more than ample room to store personal items, books, clothes and suitcase in the full wall unit closet. 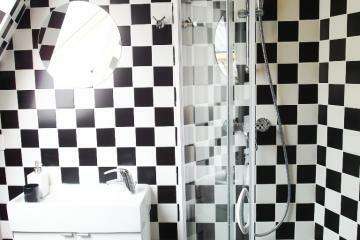 The kitchen area and shower room are recently renovated, with full size shower. 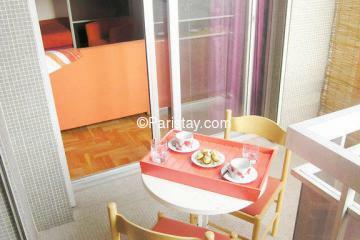 Living room includes a dining table. The building is very quiet and secure, utilizing both code and interphone entry doors. 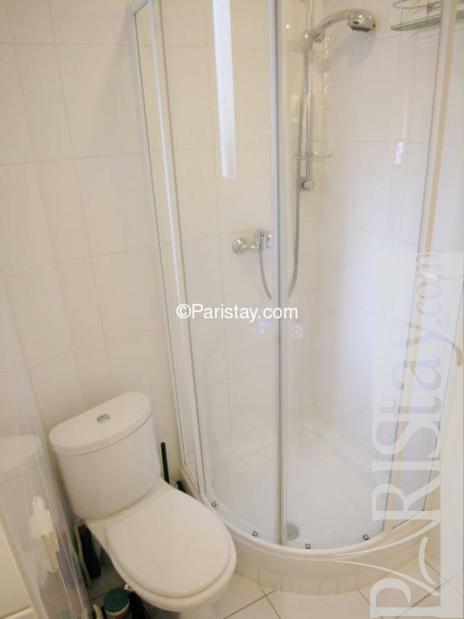 The public areas are well-maintained and cleaned daily. 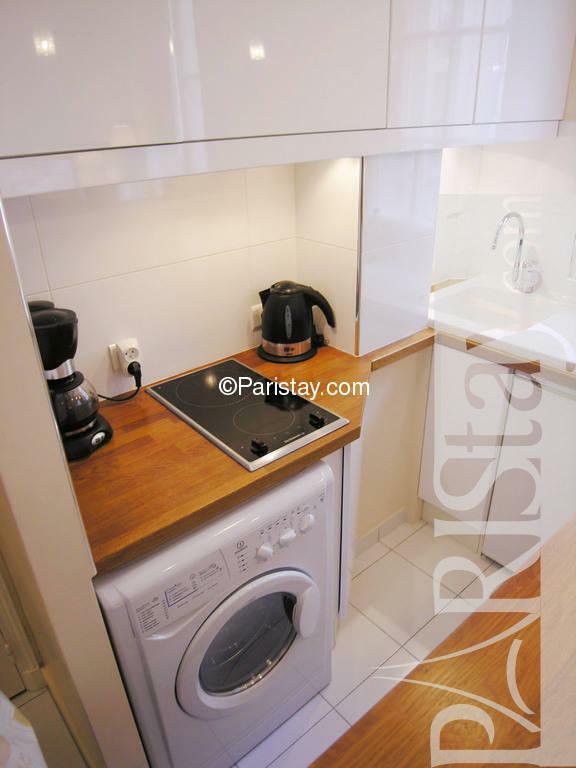 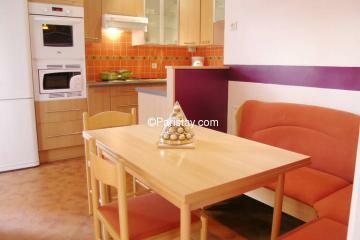 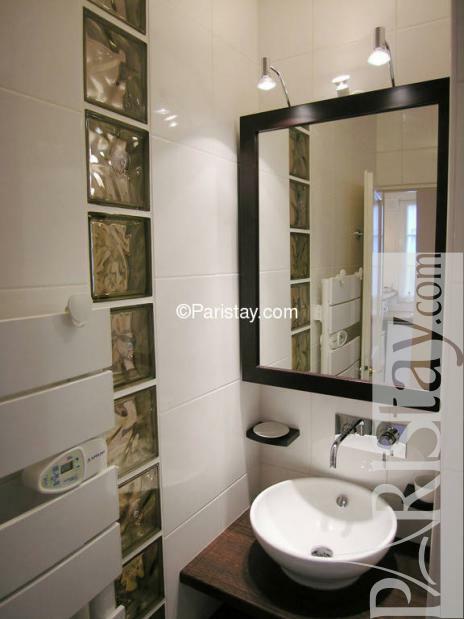 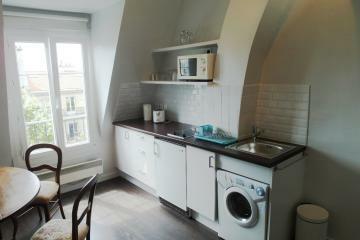 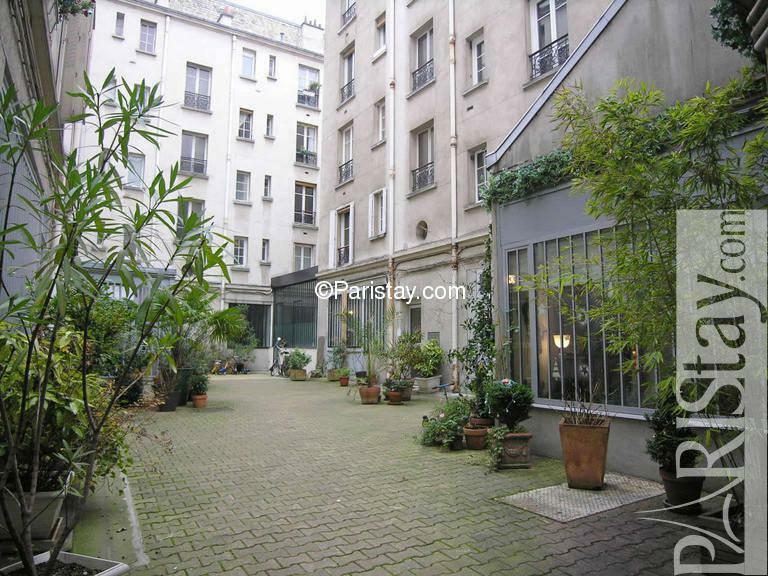 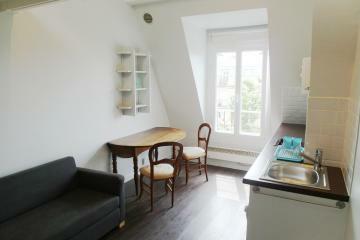 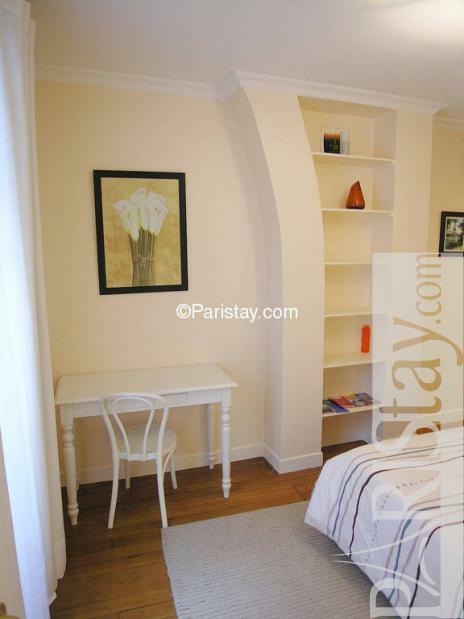 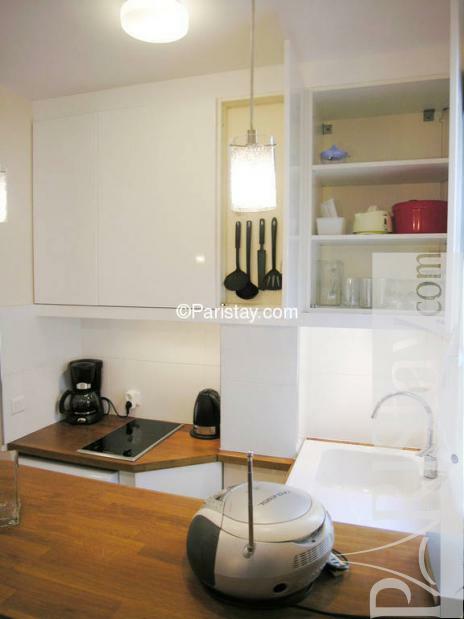 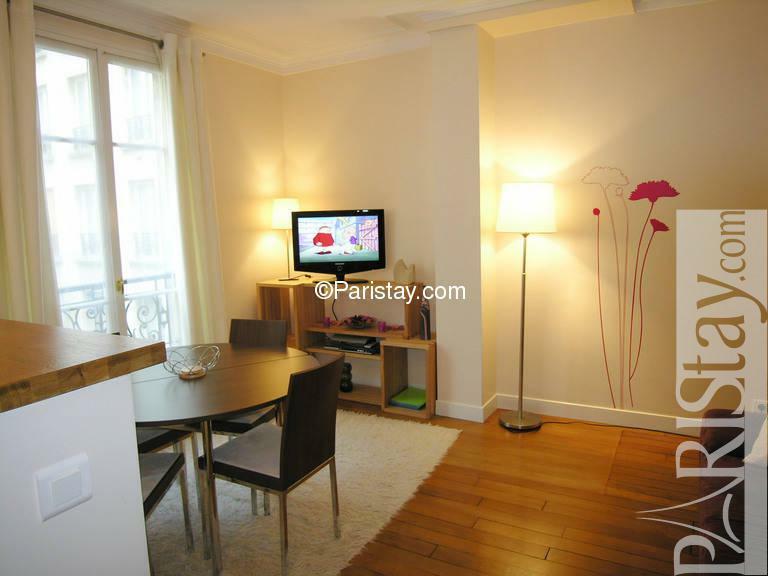 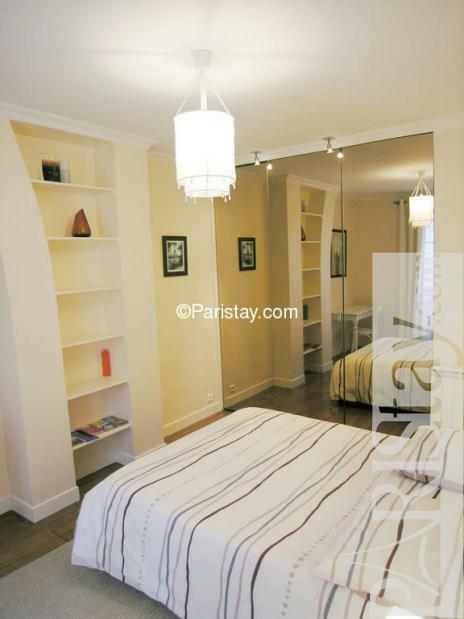 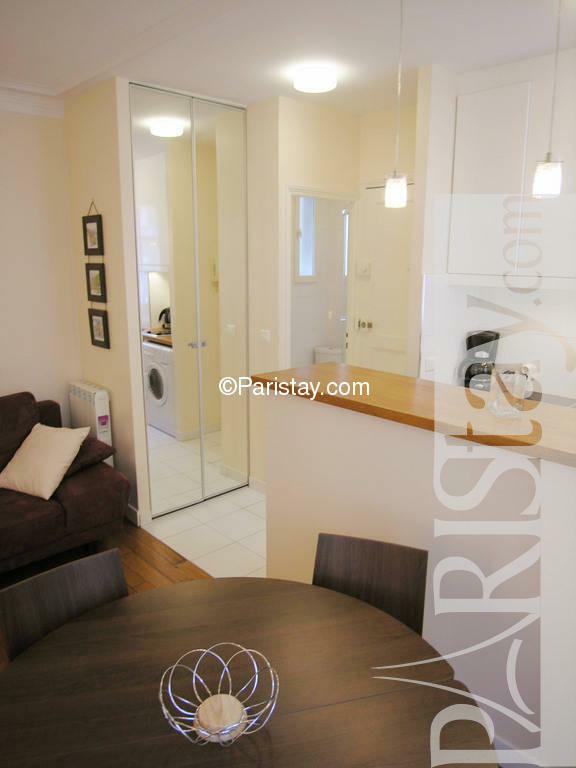 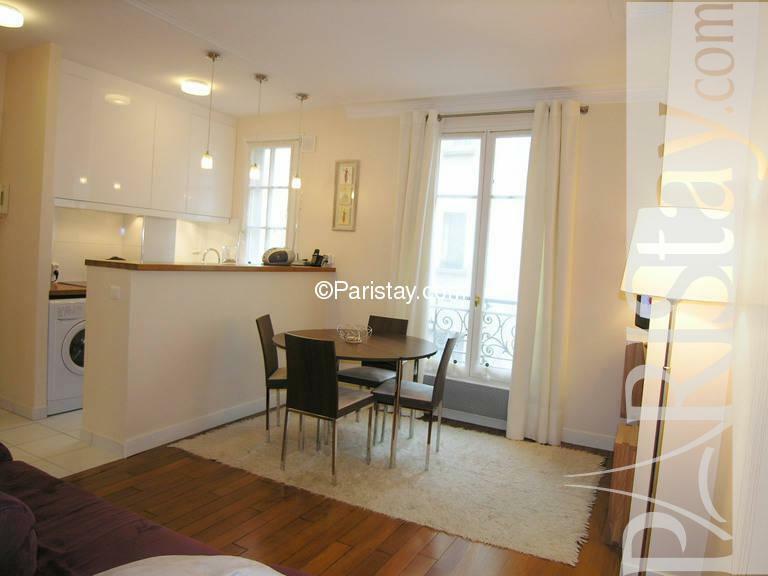 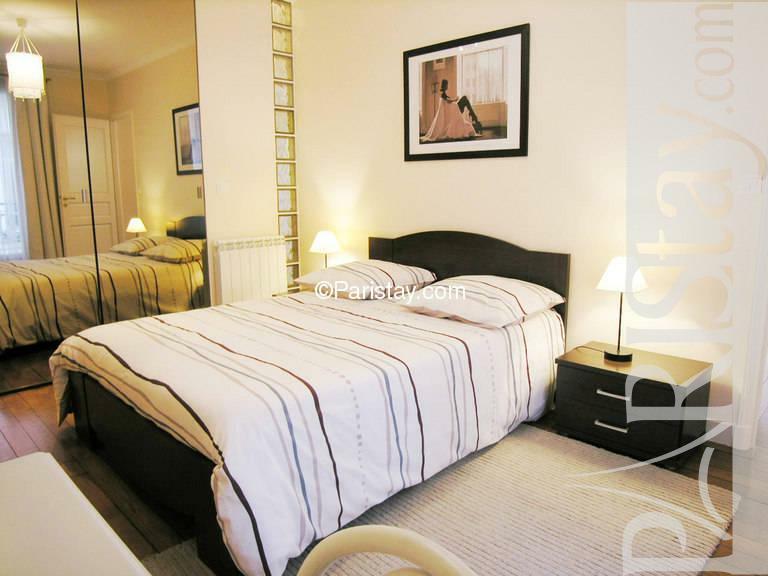 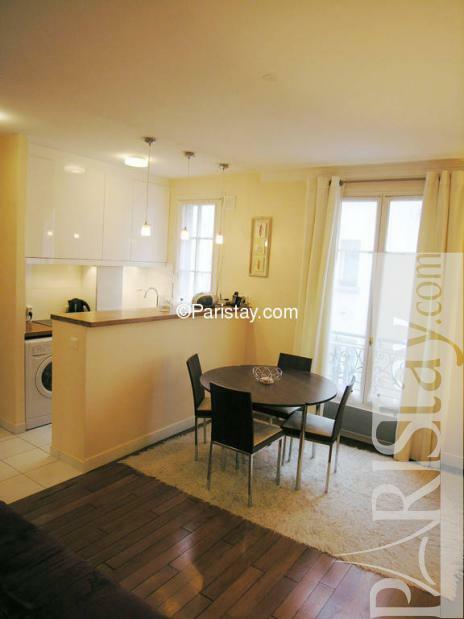 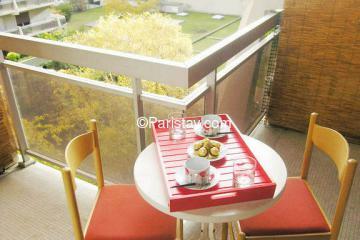 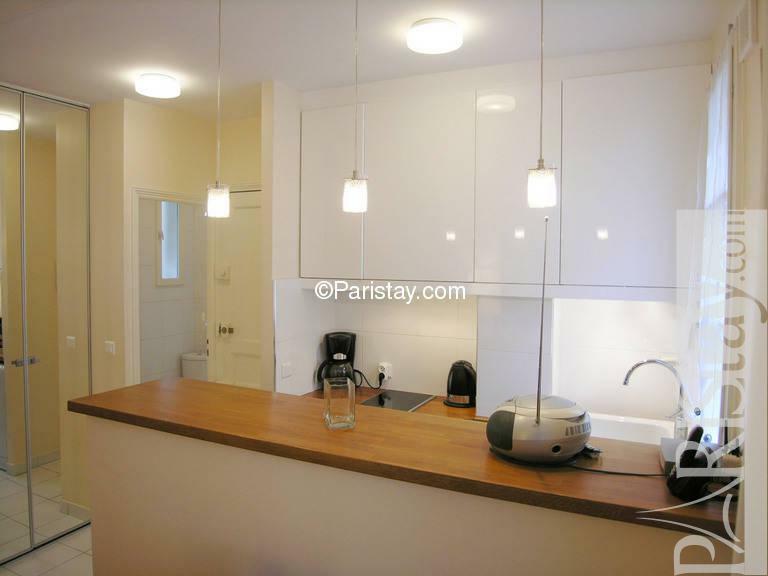 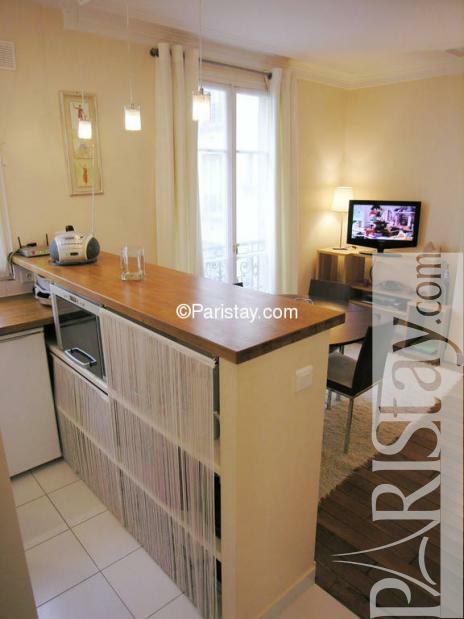 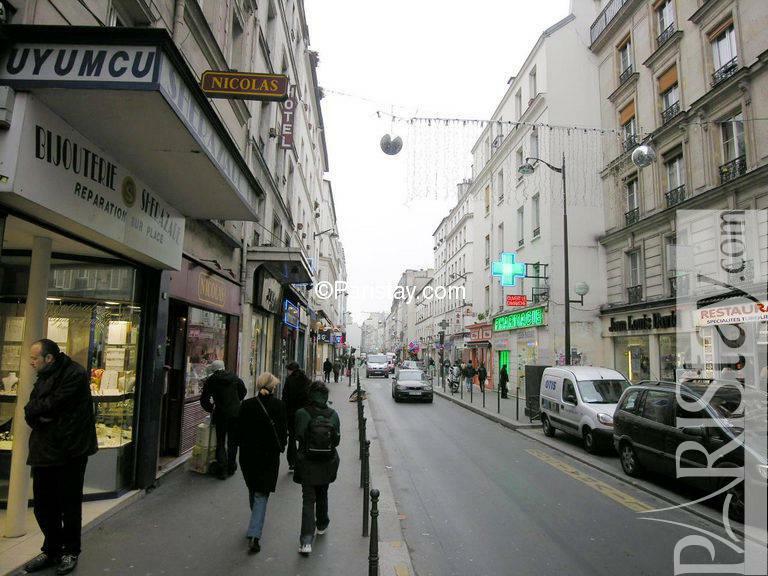 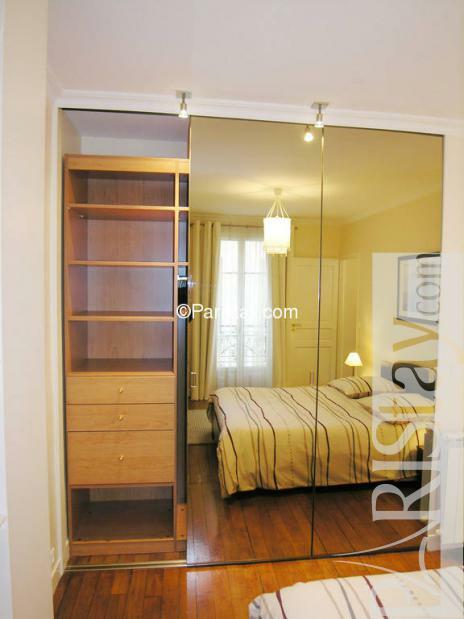 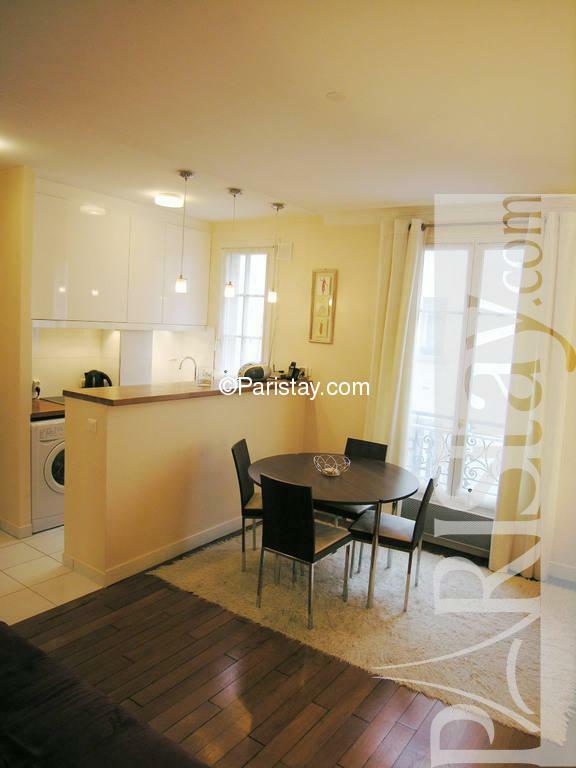 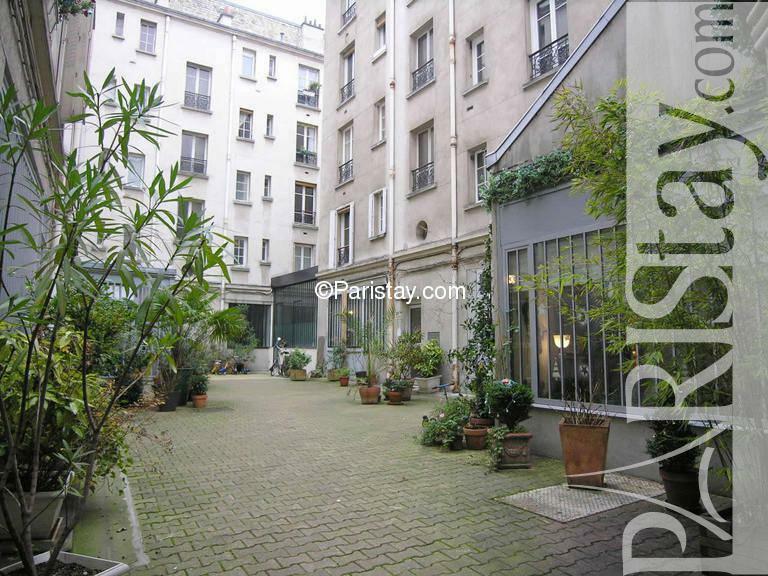 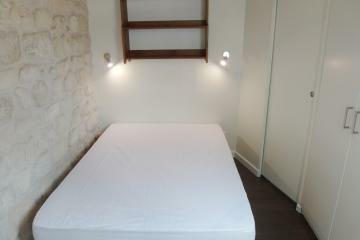 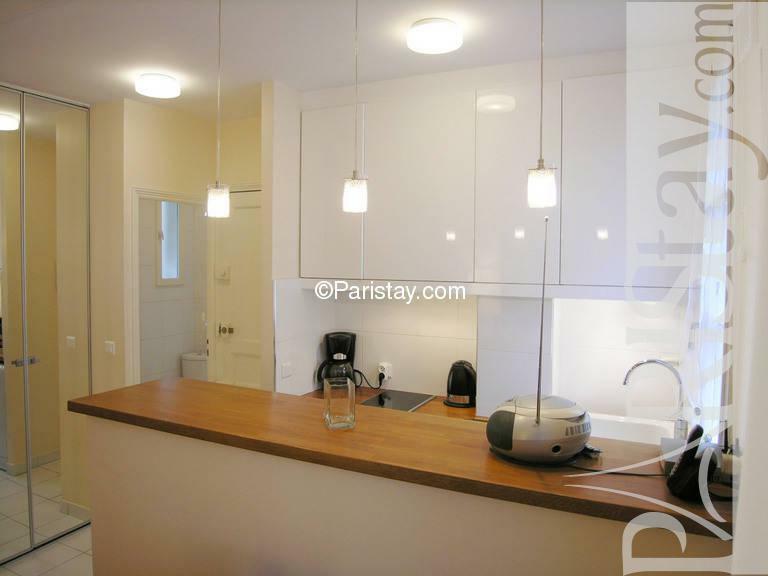 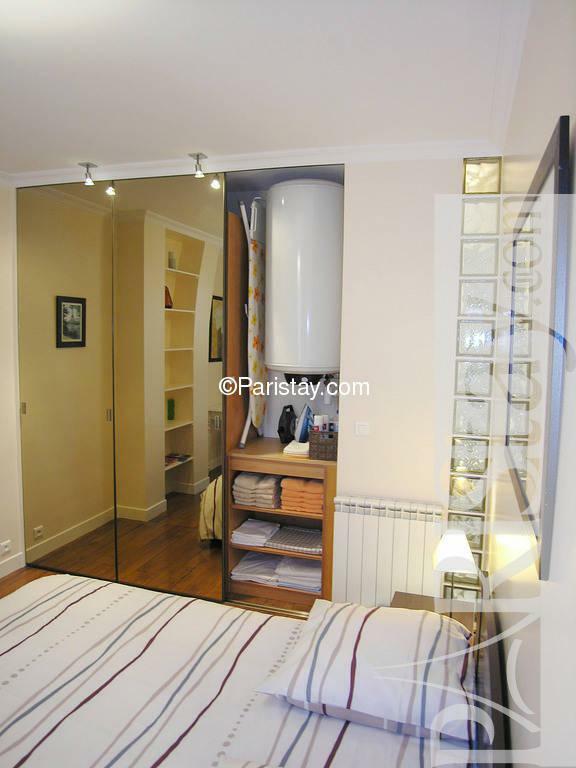 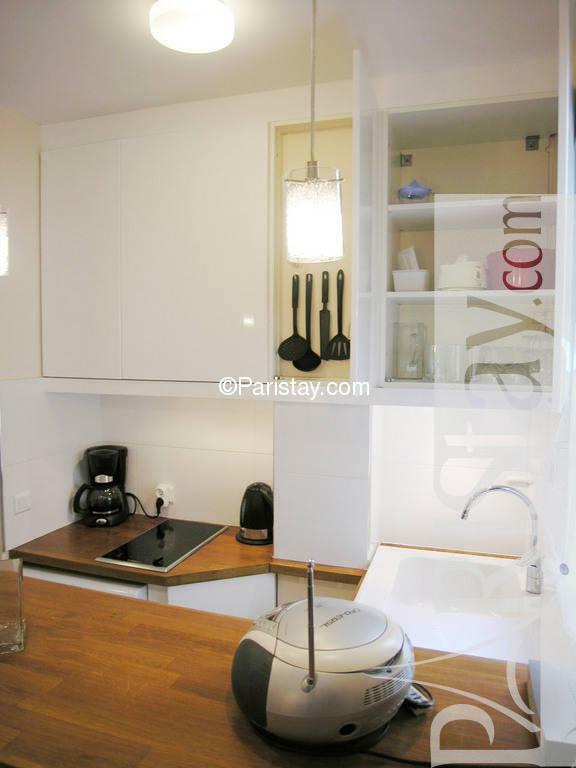 This nice flat is available for Paris long term rentals. 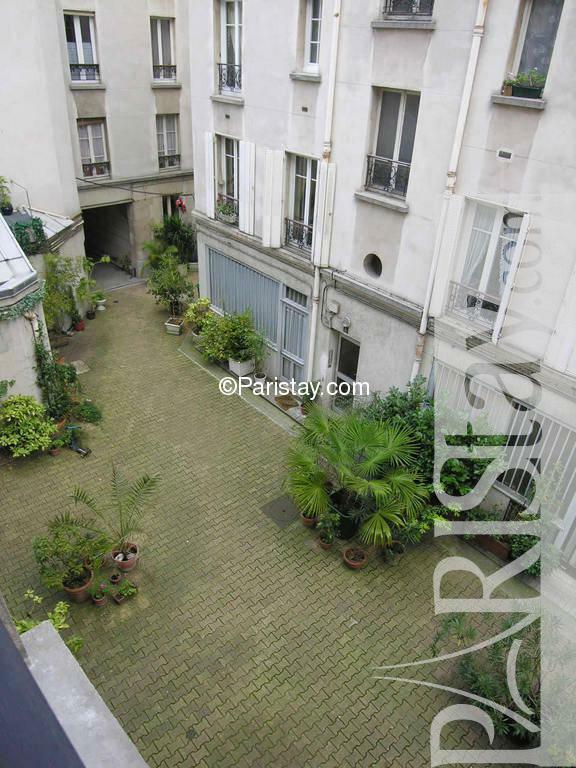 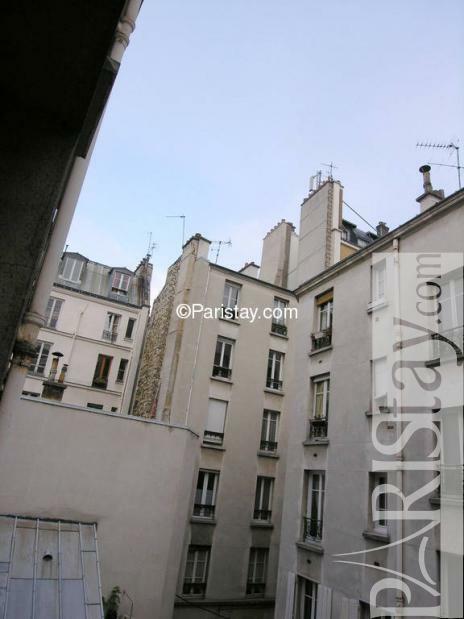 1880's Building, 2 nd floor, without Lift, entry code security system, with intercom, 1 bedroom Appartement, furnished, Approx: 33m² / 355 Sq.Ft.